Bristol Motor Speedway will once again host two Monster Energy NASCAR Cup Series races next season -- including one for the first time ever as a NASCAR Playoff race -- it was announced today by NASCAR officials as the stock car sanctioning body released its much-anticipated 2020 season schedule. 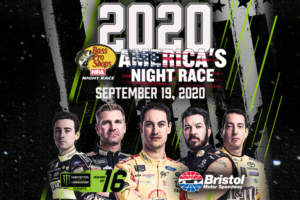 The Bass Pro Shops NRA Night Race, one of the most popular races on the Cup Series schedule and a bucket list destination for many, will move to Saturday night, September 19, and become the first cut off race during the 2020 NASCAR Playoffs. The Food City 500, a springtime tradition where those in the industry and fans from around the world come home to Bristol, will once again be held on its usual spot on the calendar, Sunday, April 5. "I am really excited about the 2020 season schedule, which promises to be a memorable one with the Food City 500 returning to the schedule on a beautiful Sunday, April 5 spring afternoon and the Bass Pro Shops NRA Night Race moving to Saturday, Sept. 19, as a key race in the NASCAR Playoffs," said Jerry Caldwell, executive vice president and general manager for Bristol Motor Speedway. 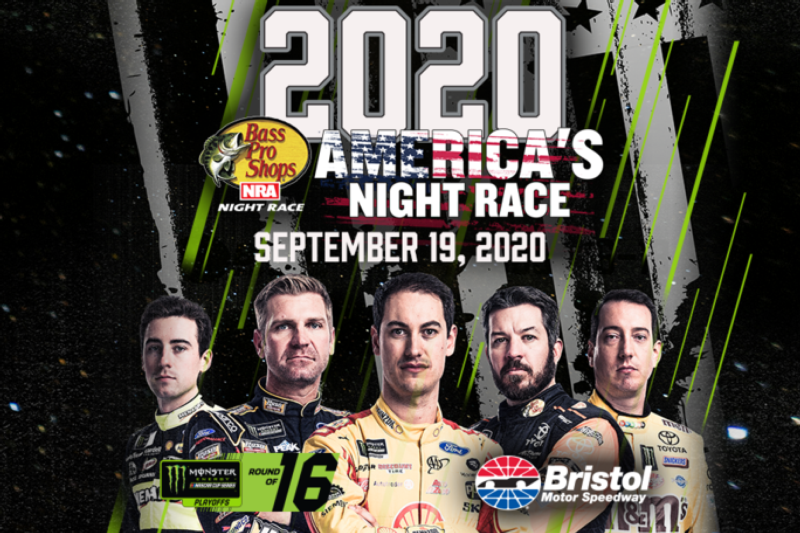 "If NASCAR fans thought they've seen tempers flare and sparks fly under the lights at the Bass Pro Shops NRA Night Race, just wait until they experience a real pressure-packed NASCAR playoff elimination race at Bristol Motor Speedway. We're thankful to the fans that voiced their opinions and rooted for more short-track racing in the Playoffs, and appreciative of NASCAR collaborating with its many stakeholders to deliver a schedule with many positive adjustments." To purchase tickets to NASCAR events at Bristol Motor Speedway, please call 423-BRISTOL or buy them online at www.BRISTOLTIX.com. Tickets can also be purchased directly from any neighborhood Food City store.